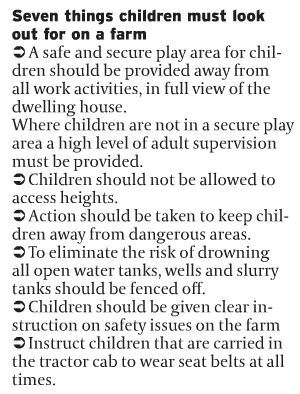 Farming and children are not always the best mix, if it cannot be avoided the farmer must take extra precautions around the farm to prevent accidents. The farm can be an exciting place for any child and when they are growing up on a family farm they may see no dangers. 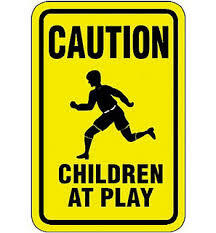 It is very important for the farmer to put up signs warning any visitors that children may be at play. It is also very important to educate your children about the dangers that can arise on a farm yard. 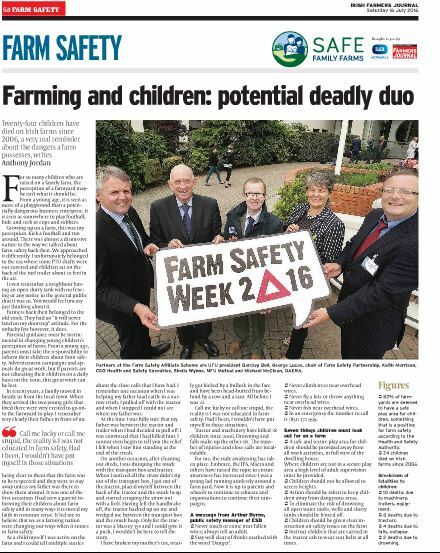 The Irish Farmers Journal had a great article on farm safety around children in last week’s paper. 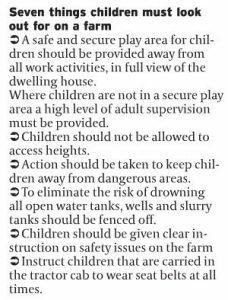 All farmers with children present on the farm should read this article and take all precautions necessary to avoid any farm accidents.